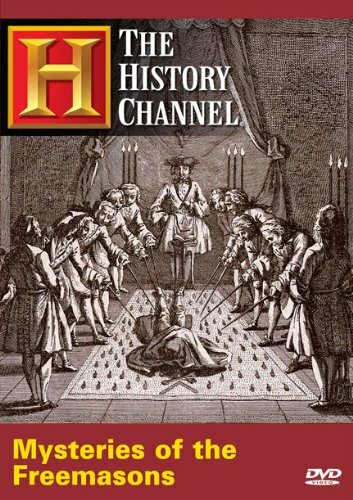 THE BEGINNING: Suspected throughout their long history of plotting to overtake the world accused of fomenting revolution and reviled as devil worshippers that stole King Solomon's treasure the Freemasons claim they're merely a civic-minded fraternity bound together by harmless rituals. Our high-energy cocktail of dramatic reenactment expert interviews and on-location footage entertains historians Akram Elias Stephen Bullock and Brent Morris to retell the Freemasons' central myth concerning Hiram Abiff mythical builder of Jerusalem's Temple of Solomon. During construction he was killed by three workers who believed his "secret" would impart magical powers--representing the three evils against which Freemasons believe they're still struggling: ignorance fanaticism and tyranny. Today the world's 2.5 million Freemasons meet to reenact the ritual of Hiram's murder as the initiation ceremony for the main rank of Master Mason. AMERICA: Is America the creation of the Freemasons? For hundreds of years suspicions of a plot to take over America have swirled around the Freemasons the world's oldest secret society. Freemasons led the Revolution framed the Declaration of Independence and Constitution designed our nation's capitaland in the early years of the Republic grew to unmatched heights of influence and power. The untold story of the Freemasons in America reveals secret codes patterns in the sky murder and a radically new picture of the nation's Founding Fathers. We'll explore this remarkable story through dramatic reenactments expert interviews sophisticated CGI and original location documentary footage. Features historians Stephen Bullock Dan Burstein Brent Morris Akram Elias and author David Shugarts. But will a rational view reveal the Freemasons as an important and honorable thread in the fabric of America?